When an eight year old stood on a stage, holding a microphone in front of a drinking crowd that was perhaps waiting for a striptease or an adult act, little did anyone think that the kid would grow up to be a legend in the realm of musical stardom. That was Michael, Michael Jackson, hailed as the king of pop by generations of his time and the ones to come. 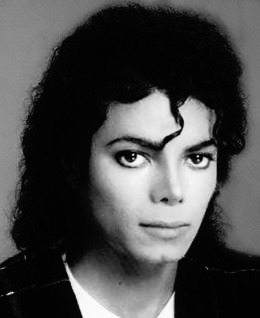 Born on the 29th of August, 1958, to a middle class African American family, Michael, was the eighth of ten children. At an age when kids of his age were singing "itsy bitsy spider", Michael Jackson was a headliner, setting chart records with his singles. Rolling Stone magazine later described the young Michael as "a prodigy" with "overwhelming musical gifts," writing that he "quickly emerged as the main draw and lead singer (of Jackson 5). Flash forward - a decade: the little prodigy’s stardom grows tenfold when Billy Jean’s moon walk catapults Michael to the implausible echelons of recognition. His Motown Anniversary performance was the first testament to his exquisite dance abilities and his stepping stone into success. The signature sequined glove on his left hand, the crotch grab, the gravity defying moves or the larger than life music videos (known as 'short films'), the lead singer from Gary, Indiana, had become stardom personified. What followed seemed like a fairy tale with ten successful albums ('Thriller' being the best-selling album of all time in the United States), 13 Grammy Awards, and 13 number one singles in his solo career and induction into the Rock and Roll Hall of Fame, twice. Jackson is ranked alongside Elvis Presley and Beatles as the greatest pop sensations of all times. His backward-gliding moonwalk, his feverish, crotch-grabbing dance moves and his high-pitched singing, punctuated with squeals and titters electrified crowds and made them hysterical; but there’s a lot more than he can be credited for. Breaking the barriers of racial prejudice, Jackson dominated the charts and dazzled even more on stage. His Billy Jean became the first ever video by an African American to be aired on MTV. Whether it was a PR or humanitarian effort, Jackson co-wrote the charity song “We are the world” with Lionel Richie and the single topped charts around the world, raising awareness and more than $50 million for famine relief in Africa. He continued to focus on poverty awareness, urging former President Clinton to increase aid and even performing 'Heal the World' for the Clintons in 1992. Michael Jackson’s music and style stood for what can be considered as a multicultural and tolerant world, therefore crowning him as an influential culture icon. But, like Oprah Winfrey has quoted, “If you come to fame not understanding who you are, it will define who you are”; Michael’s persona and life were the extreme ends. While he had become a superhero in the musical dominion, (and behaved like one), his personal life was more of a Cinderella story. He was a young boy so thoroughly in command of his gifts, yet afflicted by a demanding and abusive father. It was perhaps this twinge that made Michael resort to a lifestyle that was deemed shady by many who had come to question his anomalous ways. Petting exotic animals, wacky outfits, multiple plastic surgeries, drastic changes in complexion, drug abuse and his baffling marriages; he went from being eccentric to absolute bizarre. The worst bolt came with the accusations of sexual abuses towards pubescent boys. What followed were lawsuits after lawsuits and bankruptcy. 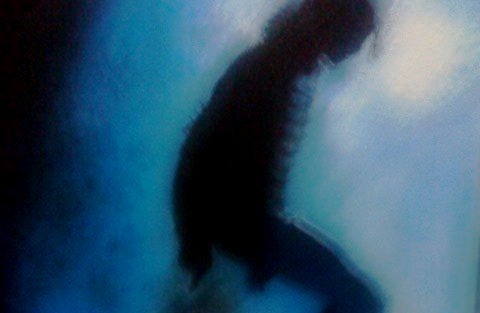 Despite being proven as innocent, Michael’s image was badly shattered and perhaps so was his creative peak. As if in a limbo, the grand star made rare appearances, become overly protective of his progeny (making his kids wear germ masks in their outings); his health suffered a major setback as well. In the summer of 2009, Michael made a phoenix like attempt to rise from the ashes with his “This is it” comeback tour. The irony of that name struck people on June 25, 2009, when he suffered a cardiac arrest and died shortly after. The world of music came to a standstill, another legend was gone. The circumstances of his death caused an equally strident uproar. Investigations suggested foul play and Cardiologist Conrad Murray was charged with involuntary man slaughter by Prosecutors in Los Angeles. Jackson's death is ranked No. 1 on VH1/VH1 Classic's list of 100 Most Shocking Moments in Music.